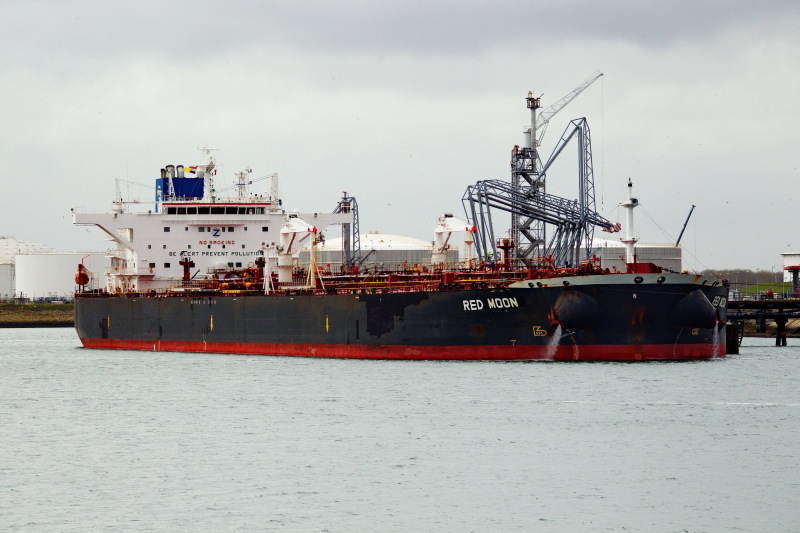 Sammy Ofer's (Zodiac Shipping) Suezmax tanker Red Moon discharging at the Europoort Team Terminal. 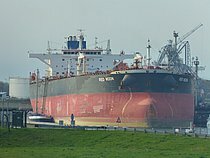 She was built as CROSSWAY for Tanker Pacific, by Hyundai's Subic Bay yard in the Philippines (#25). Became Red Moon in 2013.